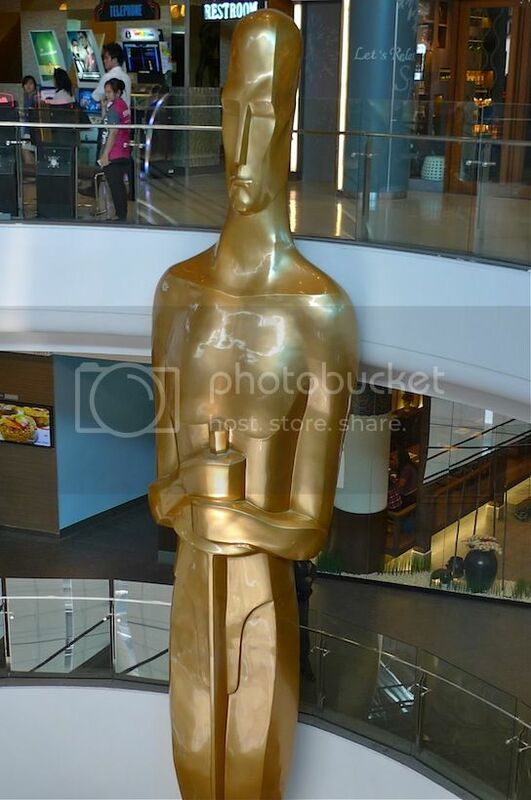 On our way up to the top floor of Terminal 21 shopping mall, my friend and I saw this tall Oscar statue. 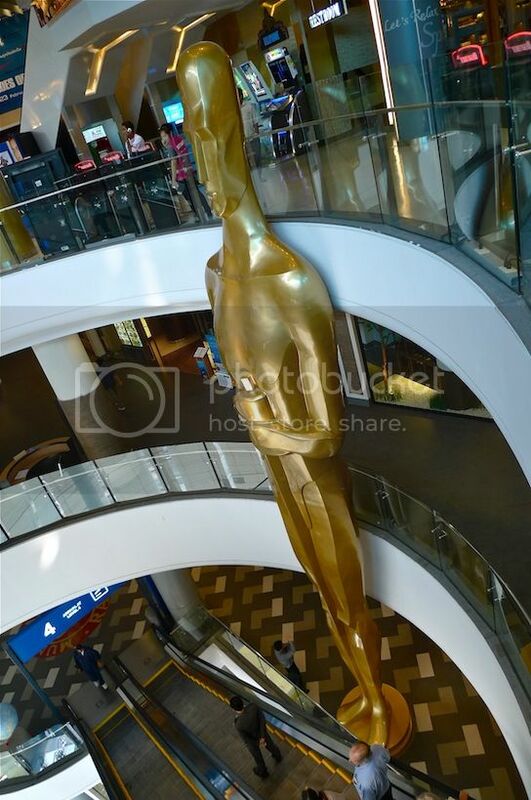 It is about 3 stories tall, with the base on the fourth floor. 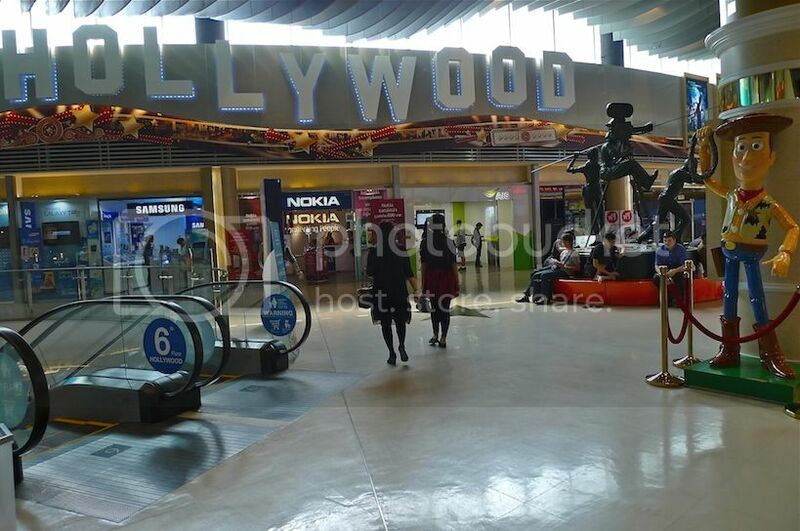 When we went up to the sixth floor (highest floor), we saw the big 'Hollywood' letters on the wall. 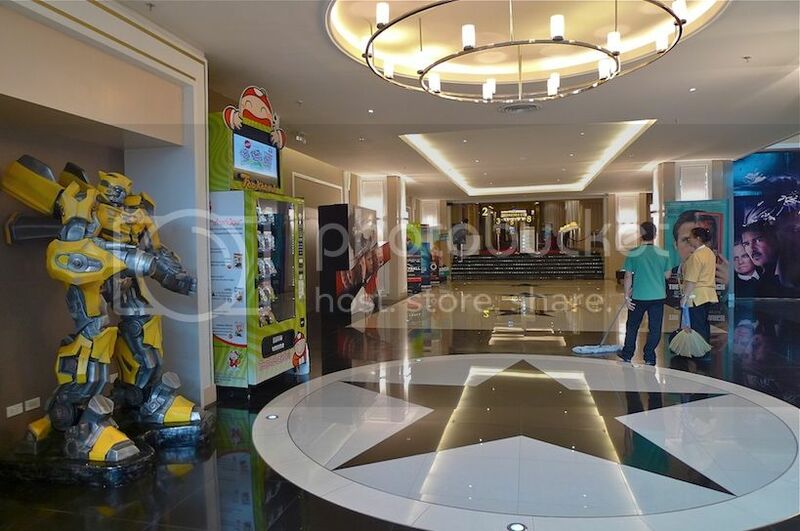 This is the Hollywood-themed floor which is also the cinema floor. 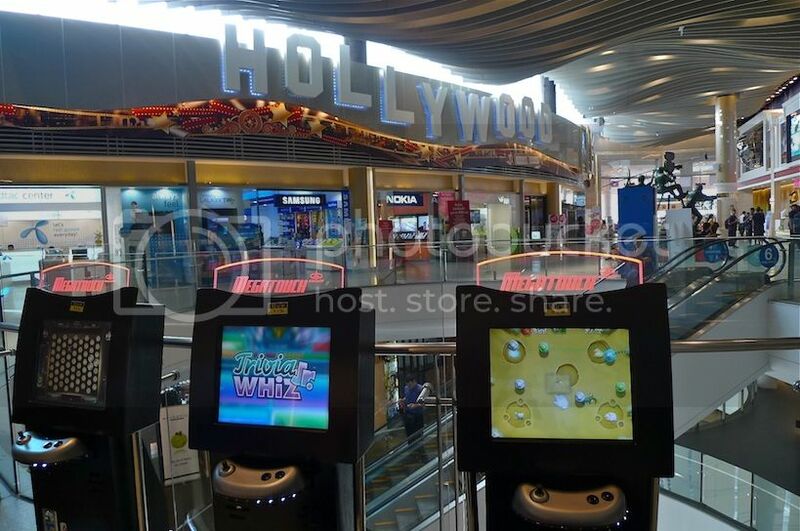 Every floor of Terminal 21 has its own theme based on a city or place. Read about the different floors HERE. 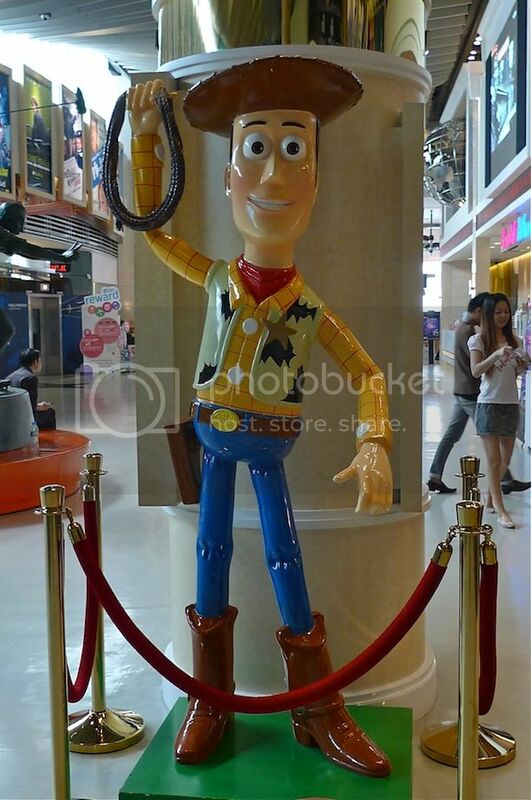 I saw this life-sized Sheriff Woody character from the Toy Story movie. Cute! 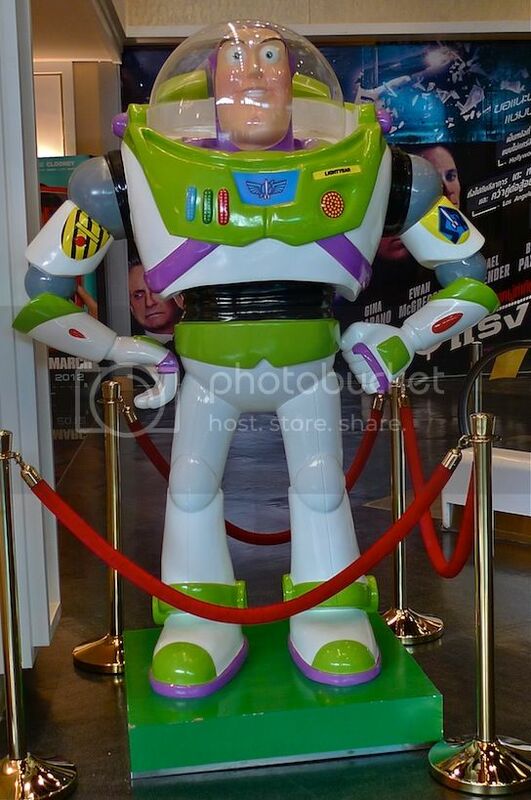 Another character from Toy Story - Buzz Lightyear. 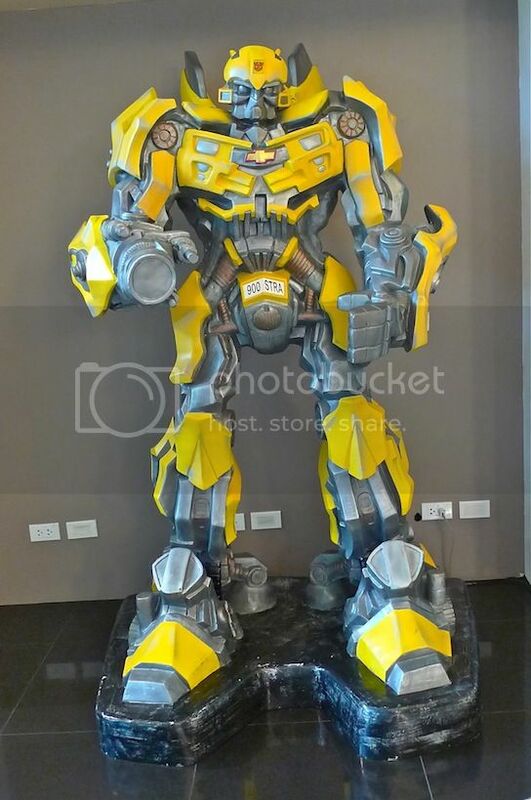 There was Bumblebee from the Transformers movie too! The cinema hall was quite spacious. 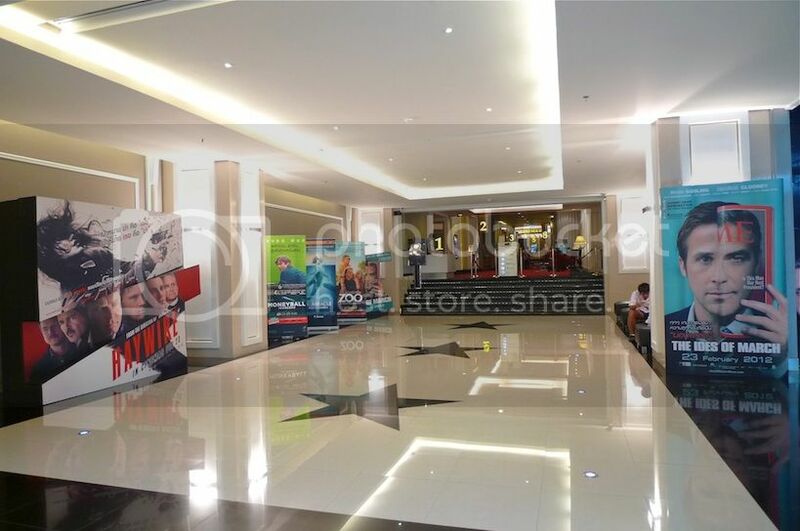 But it was quite empty as it was in the morning and most movies have not started screening yet. 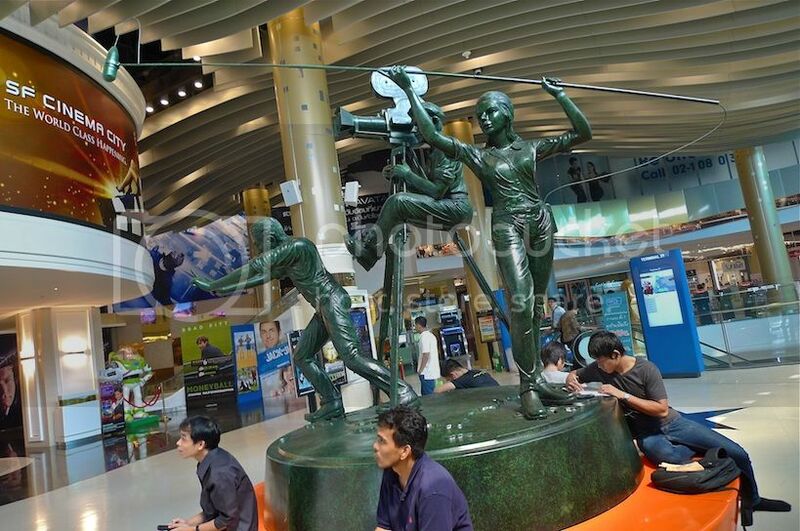 Interesting sculptures related to movie making. I actually expected more from this Hollywood-themed floor. 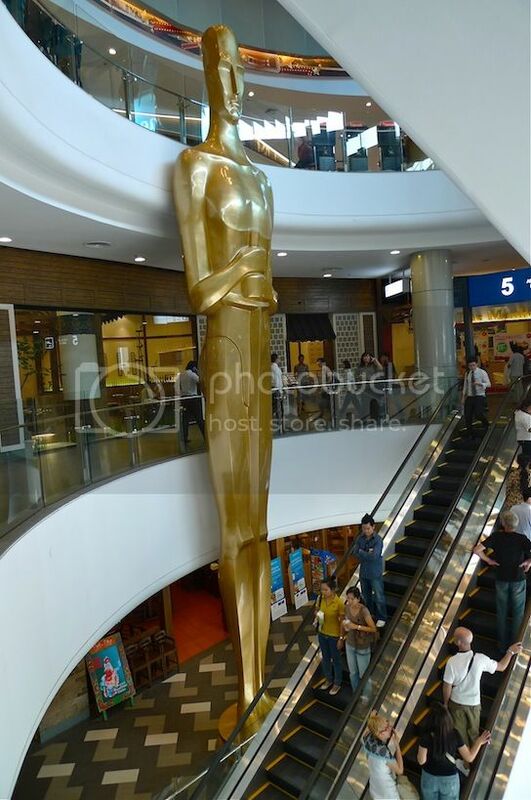 But I guess this huge Oscar statue is already awesome enough, at least for me. 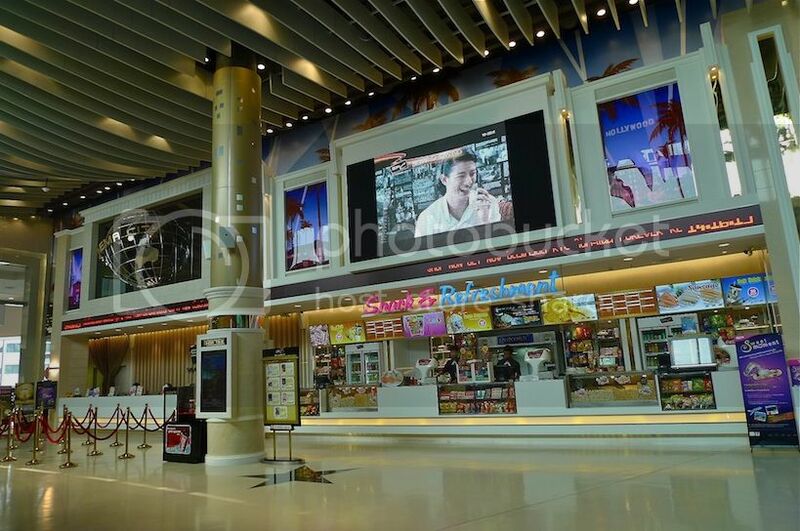 No, we did not watch any movies at the cinema here. We just did not have enough time! Besides it was lunch time and we were both hungry!